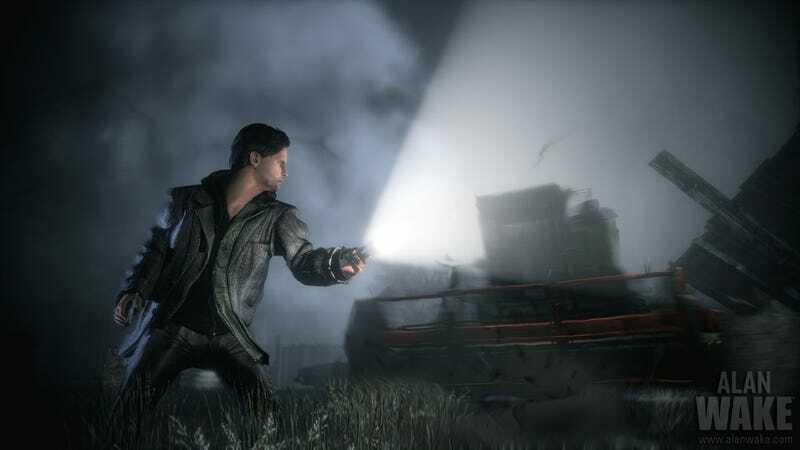 The makers of Alan Wake said yesterday that the PC versionof the Xbox 360 exclusive will arrive in February. As it is self-published by Remedy, you don't have to worry about it using the execrable Games For Windows Live: "Games for Windows Live will not be used; we will be fully supporting the Steam platform," says developer Remedy Entertainment. It still may be played with an Xbox 360 controller if you prefer that to good ol' mouse-and-keyboard. There will not, however, be a demo for the game, whose Steam download checks in at 7.5 gigabytes. No Mac version, either. The PC version will also include "The Signal" and "The Writer," the original downloadable content chapters released for the Xbox version. Unfortunately, Remedy says it won't be releasing mod tools for the game as they "are a lot more complex than they were with the Max Payne games, and are based on many 3rd party commercial tools." Alan Wake's PC port is being handled by original developer Remedy in conjunction with fellow Finnish developer Nitro Games. To get more answers to your questions, plus the recommended system specs, see the link below.